Painting the metal roof of an agricultural building. Barns, farm and agricultural buildings embody the values of hard work, productivity and heritage of family farms. They are witness to the role of agriculture in our state’s image as well as its economy. Farm, agricultural buildings and barns have been built to protect and store some of a property owners greatest investments their livestock, harvest’s and equipment. Farmers and ranchers built their barns and farm buildings not only with practicality in mind, but also aesthetics. The up keep and maintenance of these buildings by painting and applying the proper protective coatings to shield them from the weather and corrosion is our area of expertise. With over 30 years experience in painting and protective coatings for metal farm and agricultural buildings, Whites Painting & Power Washing is the first choice for many Indiana farmers and managers looking for the best to maintain the integrity and appearance of their property. Why choose us for your farm painting needs ? We are fully equipped to tackle any type of agricultural building painting with no or as little disruption to daily operations as possible. All surfaces are properly prepared by power washing, sanding, scraping, caulking and priming as required before any paint or coatings are applied. We use only top of the premium paints and coatings. 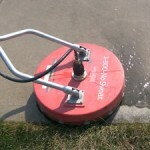 We pride ourselves in personal customer service with the owner supervising every job. We stand behind our workmanship and materials. We paint barns and farm buildings. We paint equestrian facilities, stables and arenas. We paint Morton buildings, pole barns and machine buildings. 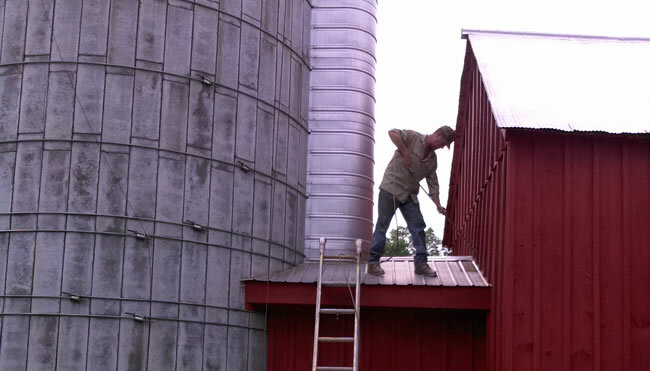 We paint metal roofs, steel buildings, grain bins and storage tanks. An attractive building is an asset to your farm and property, we are your asset protection specialists. Call today to speak directly with the owner of a local family owned and operated business who will be happy to arrange a free quote for all of your agricultural building painting and coating needs. The buildings and facilities on an agricultural property are subject to a lot of abuse. Everything from the weather to chemicals to being located in a constantly dirty and dusty environment. Without the proper paints and coatings protecting your buildings from these threats your agricultural facility is going to look pretty weathered in just a few short years. Corrosion is the enemy of your buildings, your equipment and your livelihood. Whites Painting and Power Washing is a full service industrial painting contractor that specializes in the unique methods and processes for painting and coating the buildings and equipment on agricultural facilities throughout Indianapolis and Central Indiana. From bulk storage tanks to grain silos, to your metal roofs and metal buildings. Our experienced team of painters along with our mobile painting shops on wheels can be quickly located to your property to begin prepping and painting your buildings.